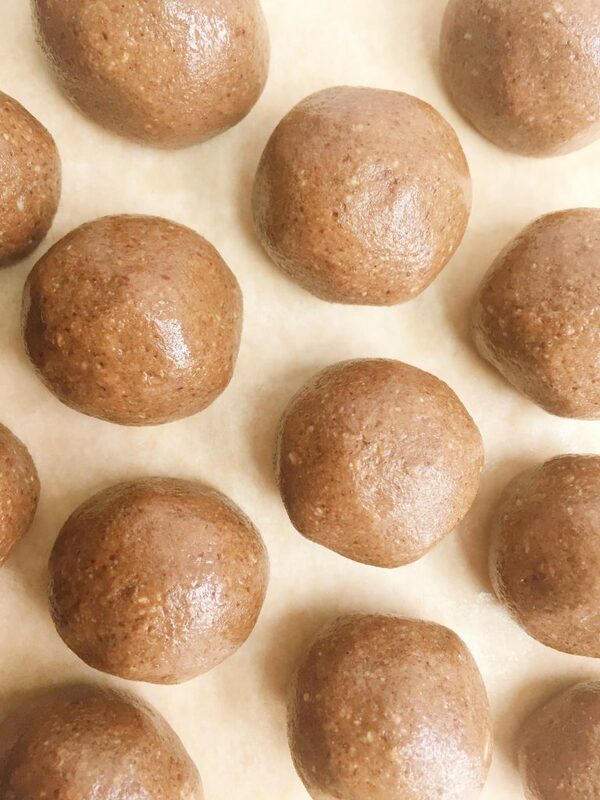 You guys, I don’t even know how to contain my excitement about these Grain Free Chocolate Cookie Dough Bliss Balls. 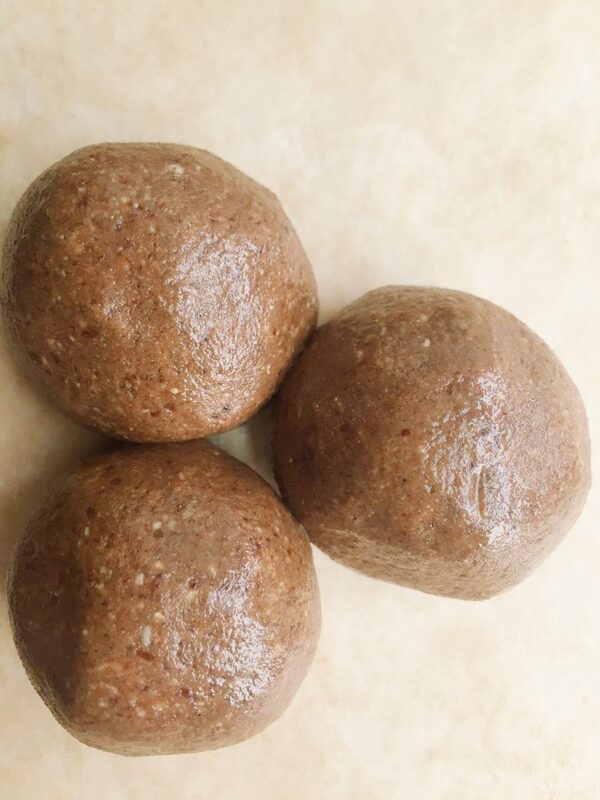 They are vegan, they are gluten free, they have extra protein and they are GRAIN FREE. Like what? Somebody pinch me because I don’t even know how this happened. It all started with some vegan chocolate protein powder from AboutTime I got in the mail. 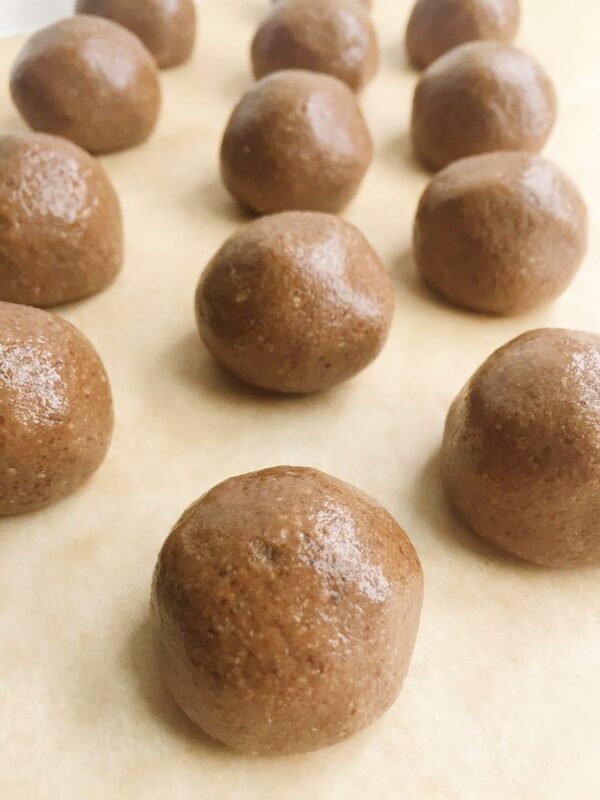 Sure I can make protein shakes, smoothies or mix it with milk to get my extra protein fix but these Grain Free Chocolate Cookie Dough Bliss Balls are SO MUCH BETTER! Plus AboutTime has a non gmo, gluten free and vegan protein powder – amazing! I recently made a Vegan Banana Nut Ice Cream with their vegan protein too (delicious!). They smell like chocolate, nutty, delicious cookies and then you take a bite and you’re like “yep these actually taste too good to be true”. 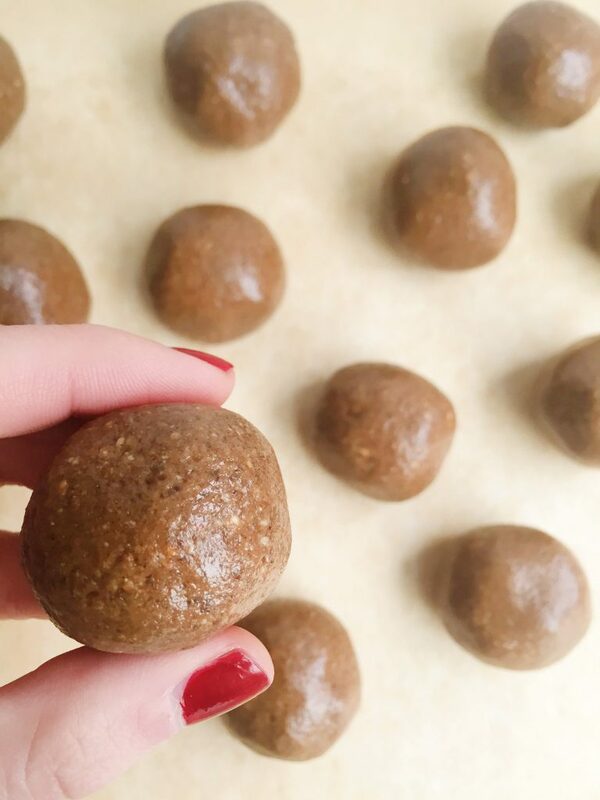 I have been carrying these Grain Free Chocolate Cookie Dough Bliss Balls in my gym bag the last couple of weeks as my pre workout fuel for the barre3 challenge (more info about the challenge here). They are so doughy when you make them that I almost wanted to just call this some grain free cookie dough and stop but that will just have to be another recipe soon. ..and that’s about it ya’ll. Also for the first time I used my Food Processor to make these bliss balls. I know, I am cheating on my NutriBullet but like, we got the most amazing Cuisinart Food Processor from my bridal shower (that I am finally using 6 months later, oops) and it is a game changer, I highly recommend it if you are in the market for one. These are basically like eating raw cookie dough without the guilt or stomach ache! YUM! These are absolutely incredible! I had to alter the recipe to what I had on hand, but still, everything ruled! Subbed 1/2 raw cashews and 1/2 dry roasted unsalted pistachios and then unsalted natural peanut butter for the almond butter. Also added a little vanilla extract and a pinch of cocoa powder since my protein powder is a little wimpy. Obsessed. My boyfriend then rolled his half in Cocoa powder to make them seem like super rich truffles. A good move, I’d say. Thanks!